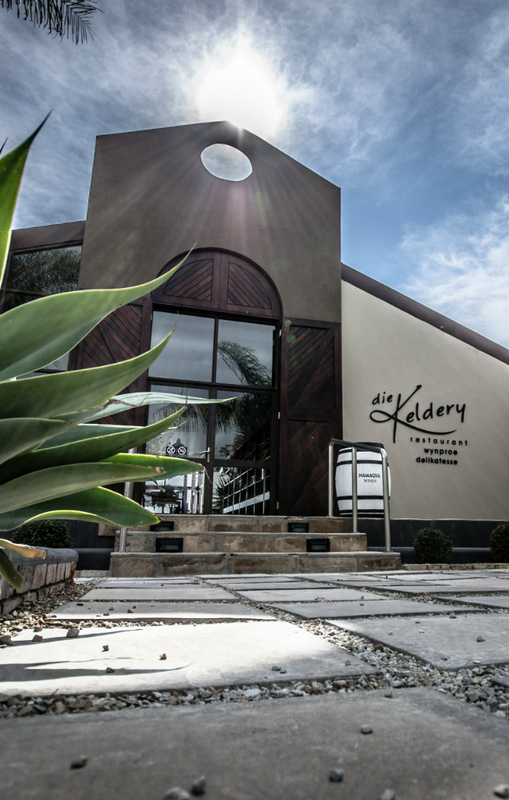 Die Keldery is situated on the Spruitdrift winery grounds on the outskirts of the small town of Vredendal. The stylish, spacious building offer the visitor a complete food and wine experience, from the comfortable tasting room where a range of the area’s top wines are sold, to the spacious restaurant with relaxing views of vineyards and the Maskam mountain. The menu offers a selection of delicious dishes with a traditional flavour and pride themselves on their breakfasts. Come and enjoy our hospitality and great food!